Largely determined by the weather, the standings at the end of the first leg of Rally Poland did not make great reading for the Citroen team. 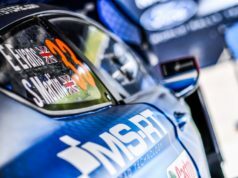 However, the error-free performance of Stéphane Lefebvre and the times of Andreas Mikkelsen when the poor weather let up provided some genuinely positive signs, according to the team. The Norwegian, in particular, was happy with the changes he and the team made. He felt more comfortable in the afternoon loop of stages. He broke part of the left rear suspension after hitting a tree stump when pushing on a fast right-hander. Andreas managed to complete the stage, got back to service and was, therefore, able to stay in the race, but was more than two minutes adrift of the leader by that point. During the mid-leg service, the mechanics repaired his car. 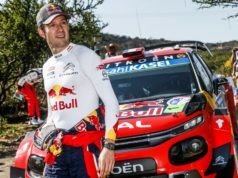 On SS7, Mikkelsen showed some form as he set the fourth fastest time. Despite a puncture on SS9, he produced a solid performance throughout the afternoon. “It was my first time in the car on muddy roads this morning and it was very difficult to get a sense of the handling. We made a few changes during the mid-leg service and that gave me more feeling for the level of grip. The conditions were also more even and that was reflected in the times. I’m very pleased with the progress we’ve made today”, Mikkelsen commented. Throughout the morning, the young Frenchman fought with Suninen and Evans for eighth place. By the end of the opening leg, Stéphane Lefebvre remained the highest ranked of the Citroen drivers. Reducing the gap to the leaders substantially between the morning and afternoon loops, he completed the day in ninth place. “We managed to avoid making any major mistakes. It wasn’t all plain sailing this afternoon: I got my pace wrong on SS7 and the ride height was too low on SS8. But above all, I’m pleased to have matched Andreas’ times throughout the day and to be fighting for seventh place. If the weather is drier tomorrow, I think we can make up a place or two”, the Frenchman said. On SS2, a transmission problem cost him over half a minute. The Irishman was forced to contest the next three stages in a car with… three-wheel drive. He dropped more than seven minutes during the morning loop. Despite the team’s efforts, repair work at mid-day overran, meaning the Irishman was late leaving service and was given a 1m 10s penalty. Breen struggled to find any confidence and was forced to adopt a controlled pace in order to avoid making any mistakes.